This godly woman is serving among thousands of refugees caught in Central Asia. She will help in facilitating support for their physical needs, sharing the great gospel of Jesus, and discipling many who are embracing the hope Christ offers. She is an evangelist and invest time to respond do both the felt and spiritual needs of those around her. Ministry Focus: The Heinrichs family spends time building relationships with local evangelical pastors and churches, organizing evangelical outreach events in addition to reaching out to the Indigenous peoples. Ministry History: After pastoring in BC and Alberta, Gary and Kathy attended language school in San Jose, Costa Rica for one year. From there they went to Baja California, Mexico where they have served as PAOC Global workers for years. December 2015, Gary and Kathy transitioned back to San Jose, Costa Rica, where they continue this same type of ministry, including working with Indigenous groups. 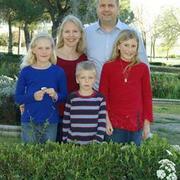 The Heinrichs feel privileged to be called to minister to the people of Latin America. Dale is ordained with the PAOC, and is the Executive Director of AsiaLink Canada, a Christian mission agency connecting our PAOC churches with ministry among the unreached restricted access peoples of Asia. We aim to provide an efficient and effective avenue to partnering for the greatest possible impact. 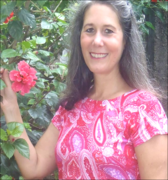 Ministry Focus: Since 2011, Kim has been serving with PAOC, first as an English teacher and now as Director at a training center for teenage girls in Trujillo (Tru-HEE-yo), Honduras. The Ministry Training Centre, founded in 2002, provides training for teenagers whose families cannot afford education beyond the sixth grade. The girls live at the Centre from Monday to Friday where they learn vocational skills, such as sewing, cooking, computers, business, and English. Graduates of the two-year program also receive sewing machines to help provide for their families. In addition, students learn the Bible and Christian values, and many come to know the Lord personally. The skills and resources these young women gain not only helps equip them for success in this life, but also impact them for eternity! Ministry History: For over twenty years Kim has sensed God’s call to “the nations” and has wondered where and when the Lord would send her. After Bible College, Seminary, and 14 years of teaching ESL in Vancouver, Kim went to Honduras and has never looked back! Ministry Focus: After serving for 13 years in Armenia, the Steinfields have moved to Madrid, Spain where they are partnering with the Salem Churches. Mark will work alongside the Salem leadership to establish a Bible school and Kim will engage in marriage ministry. 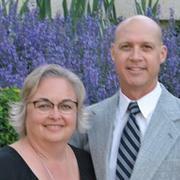 In addition to their ministry in Spain, Mark and Kim both serve on the Eurasia Region’s lead team. Mark overseas education initiatives in the region, and Kim provides member care for global workers. They have three energetic children: Alyssa, Madeleine, and Caleb.